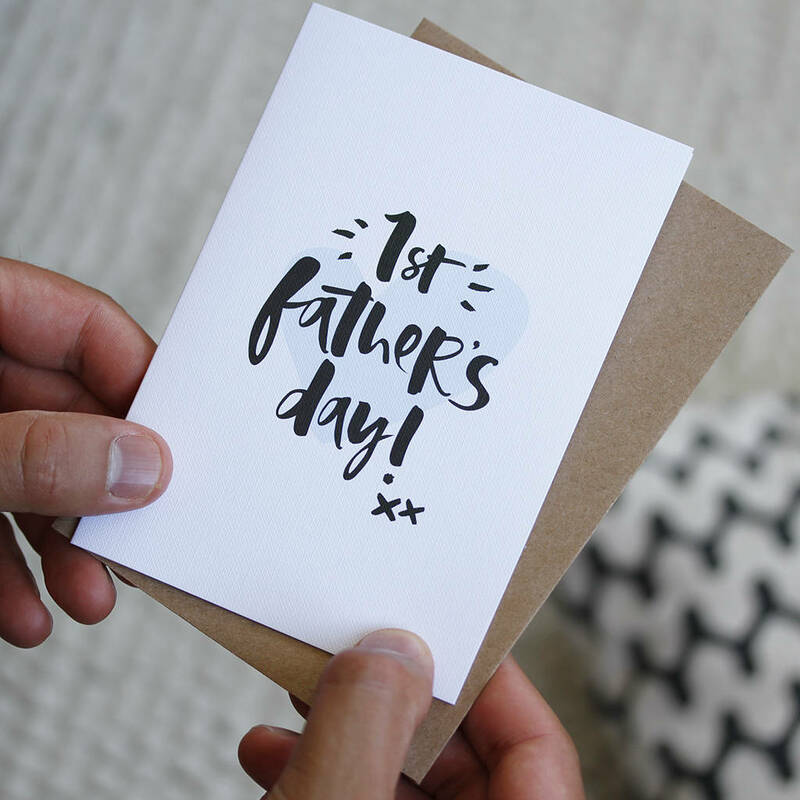 The perfect card to celebrate daddy's very first Father's Day. 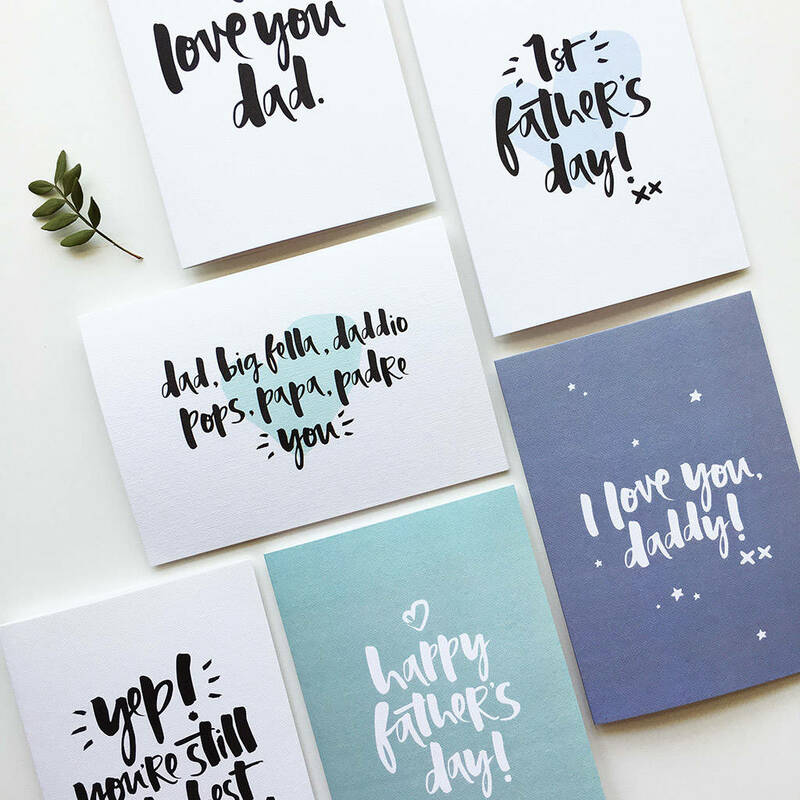 Our luxurious, hand lettered 'First Father's Day' card is made with a whole heap of love especially for Daddy. 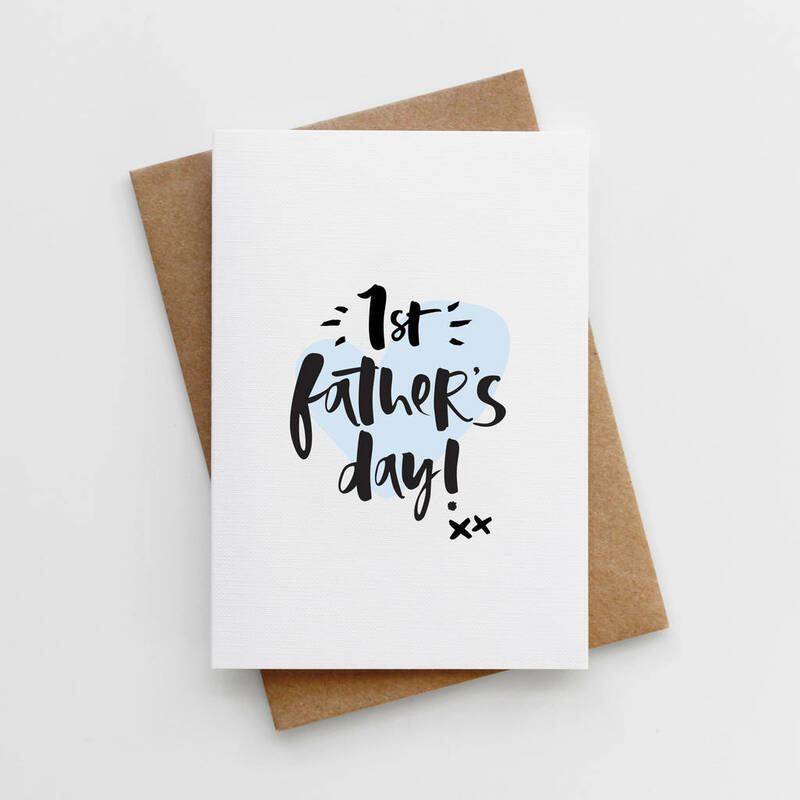 Designed to help your your little one show their love and appreciation, this super-sweet, hand lettered, eco-friendly, 1st Father's Day card makes the perfect addition to any gift. Our unique, contemporary and eye catching designs are originally created by hand using a Japanese brush pen and rich, black Indian ink. Each design is then digitally edited and printed on to the finest FSC certified, textured, 350gsm card and finished with a recycled kraft envelope. 'First Father's Day' Father's Card is 10.5 x 14.8cm (A6) and comes with a 11.4 x 16.2cm (C6) envelope.